Eat less and exercise more and you will lose weight. Seems simple enough, but if you are an individual experiencing a physical disability, you may find yourself caught in a vicious cycle of limited mobility and decreased physical activity, accompanied by weight gain. The more weight you gain, the harder it becomes to exercise. The more inactive you become, the more weight you gain. And so the cycle goes; a cycle that is not only frustrating and discouraging, but one that may exacerbate your underlying disability. If you find yourself in this kind of situation, take heart. You can break the cycle and lose weight. I have first hand experience of dealing with someone who has a disability as my husband has had several failed spinal operations which has left him in constant pain, limited mobility and a dropped foot, so while he too tries to lose weight, a lot of exercises are out of the question. He does like to get out for walks but they are slow and short in time so the calorie burning effect is minimal. For him the most important aspect of his weight loss is food and his calorie intake. We all know that the best way to shed a few pounds is by reducing your calorie intake and stepping up your exercise routine. For individuals who are limited in movement, burning calories may be too difficult to rely on for weight loss purposes. A physical disability does not have to get in the way of losing weight. 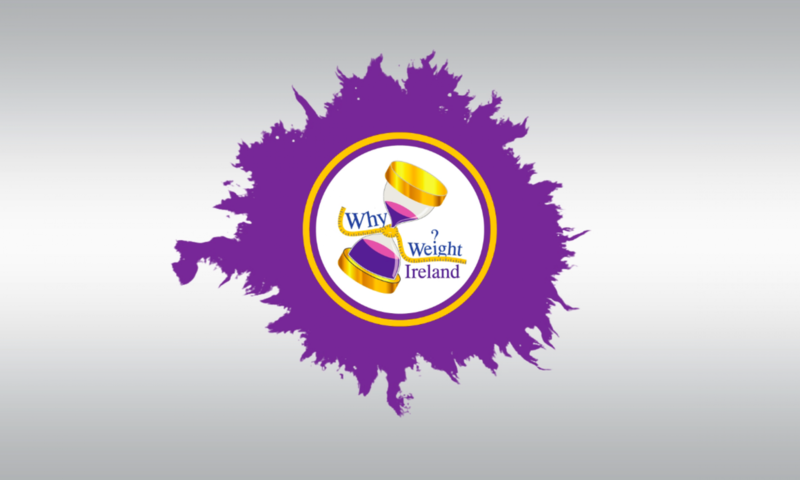 Eating fewer calories can result in a weight loss of up to two pounds a week and following the Why Weight Ireland Online Food & Exercise Diary can help you with this. I advise anyone either with or without a disability to consult with your GP before undertaking any exercise program. Issues such as balance and coordination, strength, flexibility, fatigue, and comfort levels are all factors that must be considered in any exercise program for the disabled. Always work within your own pain limits. You want to boost your metabolism in a safe manner while preserving your functional capacity. Depending on your disability, you may want to start out with some basic stretching exercises using resistance bands. If you spend long hours in a chair or wheelchair you know it can lead to uneasiness and be very uncomfortable, which is true for anyone who is disabled. Keeping the body moving as much as possible in your chair should be a regular part of your daily fitness program. This should be a priority no matter what your disability. Doing regular wheelchair exercise will help you increase your strength, flexibility, improve your mobility, strengthen your heart and lungs, and help you control your weight. When starting or ending any workout or exercise session, it’s important to take ten minutes to warm up by moving around gently, rotate your joints and raise and lower your arms/legs, stretch a little but without hurting yourself and then cool down for about ten minutes. When you work out with weights you want to start slowly and gradually work up to more weight. Your upper body workout should include exercises that include both arms, the torso, neck, and the shoulders. However, depending on the nature of the disability, everyone’s situation is different so make sure to consult with your doctor. Let the doctor know what exercises you plan to do and get his/her okay and which of the exercises are best for you and which should be avoided. Resistance bands are inexpensive, portable, and can be used whether you are sitting, standing, lying down or in a wheelchair. Free weights are a good way of keeping the body strong and toned. Depending on your disability, it may be possible to use free weights to tone the muscles and strengthen the bones. Begin with a relatively low weight, between 1 and 2 lb. After a while, you may need to increase the weight as your body becomes stronger. In a seated position you can work the shoulders and arms with shoulder presses, biceps and triceps exercises and side lifts, as well as various other free weight exercises. Do these exercises in sets of two or three with 12 – 15 repetitions. Try and do these weight exercises three times a week on alternate days. Lastly, be patient with yourself, and reward yourself along the way. A disability does not mean you cannot achieve your weight loss goals. It is certainly a challenge to lose weight with an injury, illness or disability that keeps you sedentary – however it is not impossible! As a general rule of thumb it is 70% diet and 30% exercise – meaning that you can exercise until the cows come home but without changes to your diet weight loss will be slow or non existent. On the flip side of that – if we focus on getting the diet right but the exercise has less of an impact, we can STILL lose weight! With dietary modifications, the possible addition of some small, gentle movements, the support of family, friends, and professionals, and setting some realistic health goals, you may very well be on your way to shedding the accumulated pounds.